The Minnesota Timberwolves are a .500 team again, and they can cite their defense as one of the causes. The Wolves were one of the league's worst defensive teams three weeks ago when Jimmy Butler played in his last game, and they have gradually improved on the defensive end since trading him to Philadelphia. The Wolves hope to keep it going and get over .500 for the first time this season Saturday night when they host the Boston Celtics. Minnesota (11-11) is 7-2 in the nine games since sending Butler to the 76ers for Robert Covington and Dario Saric. After Butler appeared in his last game with Minnesota on Nov. 9 at Sacramento, the Wolves were allowing 117.7 points per game on 47.4 percent shooting. In the last nine games, the Wolves are allowing 99.3 points on 41.8 percent shooting. Those numbers are bolstered by Minnesota allowing fewer than 100 points in four of its last seven games, including Wednesday's 128-89 rout of the San Antonio Spurs. It matched the third-largest margin of victory in team history, and the Wolves pulled away by allowing just nine points in the second quarter. "It's big time when you get a team like that and play an organization like that, and we come out and play defense the way we did," Minnesota center Karl-Anthony Towns said. "It's a wonderful sight and it shows the hard work we're putting in day-in and day-out." Covington scored 21 points but also is getting credit for helping improve a defense that has allowed fewer than 100 points in each of its past three games. It's the Timberwolves' longest such streak since they held opponents under 100 points in seven straight games from Dec. 31-Jan. 10 last season. "He's always talking," Minnesota guard Tyus Jones told reporters regarding Covington. "He's always talking to guys even if it's little things. He's reading people, pulling guys aside ... saying little things and it goes a long way." "When you see someone like him working that hard, it's contagious," Towns said. "The energy is contagious and you just want to make sure you never let him down." Boston is 6-8 in its last 14 games since starting 6-2. The Celtics followed up Monday's 124-107 win at New Orleans by scoring 39 third-quarter points and shooting a season-high 53.3 percent in a 128-95 win over the Cleveland Cavaliers on Friday. "Nobody's going to play perfect, but I think that our approach was good. I think our approach the last few games have been good," Celtics coach Brad Stevens said. "Twenty-two games in -- just like you can't -- can't get too low when things aren't going your way, you win a couple, you better just stay the course because you've got a tough one tomorrow." Kyrie Irving scored 29 points and totaled 55 points in the last two games. 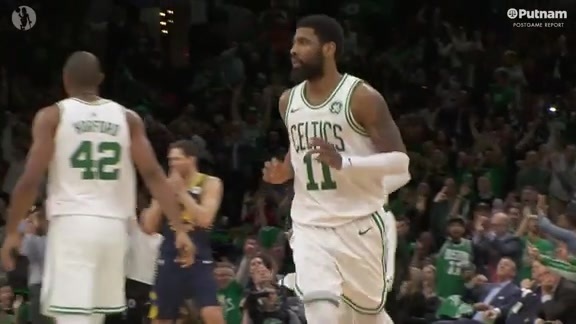 Gordon Hayward added 14 points and seemed to add aggressiveness to his game, according to Irving. "Look how much we won by," Irving said. "I think that right there is a happy moment because it was all in the flow of our offense, it was all Gordon being Gordon." Boston posted its biggest margin of victory of the season, and did it while Al Horford sat out the game as a day of rest. He is expected to play Saturday. 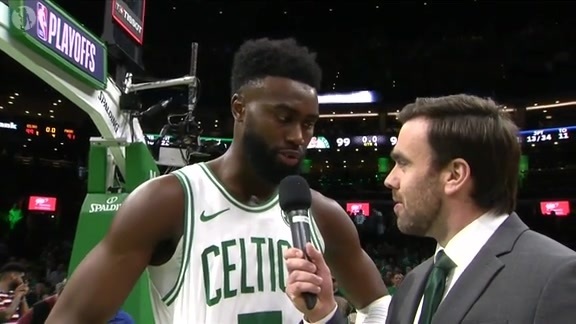 Jaylen Brown missed his second straight game with a lower back bruise and may sit again Saturday. The Celtics have won the last four meetings with the Wolves since Feb. 22, 2016, when Minnesota recorded a 124-122 home win.